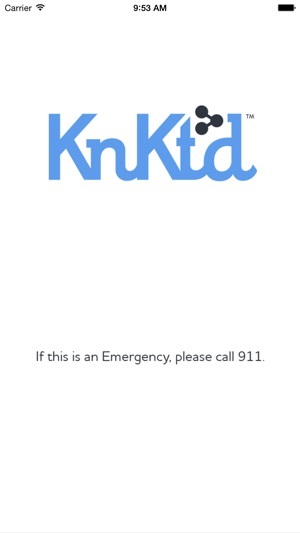 KnKt’d Behavioral Health is a (App/Cloud/Website) software platform for better connecting you and your providers on a daily basis. The system is designed to be completely person centered and collaborative at all levels. It is an app that collects daily information via push notifications not unlike social media. It is a website that displays your daily wellness to your provider and an internal system SMS (text) communication tool. The KnKt’d platform is also HIPAA compliant and encrypted when sensitive information is involved. Lastly, it is a system for gathering daily data. So much happens between appointments that isn’t known or tracked, all this information is essential to helping you find a better place of wellness. It is time to be better KnKt'd with your providers and time to be in control of your health! •	The first five tracking modules interact together. The system asks progressive questions about how you’ve slept, feel, utilization of coping skills and use of your supports. •	Within the triggered system it then decides what realm of green, orange or red that your answers rest in. If the system surpasses an internal threshold an alert will be triggered and if desired a notification will be sent out notifying supports that you need help (You and your provider decide who this will be together at your appointment). 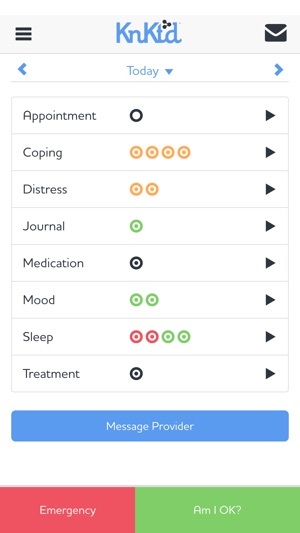 •	One touch distress button feature to reach out for help instantly or to instead choose to utilize coping skills. •	You and your provider can add and remove modules and supports as needed, to better fit your daily treatment/wellness needs. •	The appointment reminder module, notifies you of your appointments 3 days prior up until the time of the appointment. 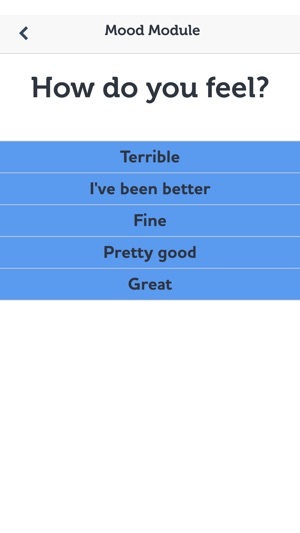 It then gathers feedback about the appointment afterwards. •	Individual goals on your ISSP (treatment plan) can also be tracked using two static modules. 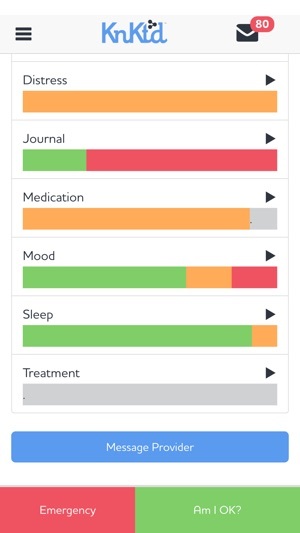 •	Medication management module reminds you to take your medication at specific times daily and then gathers feedback about whether you feel they are working. •	Internal messaging (texting) system for connecting with your providers daily. 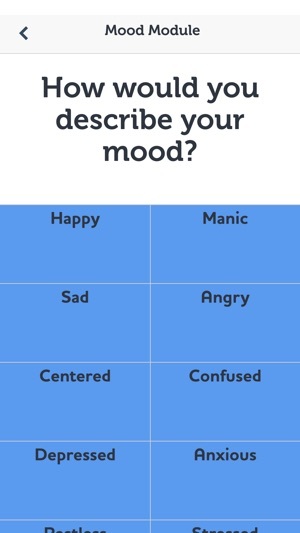 •	“Am I ok” check in system for letting your provider know how you are doing. •	“Emergency” button for quickly reaching out to crisis services. •	The ability to keep track of your daily/weekly/monthly wellness via the dashboard on your app. UI fixes for the new iPhone schema, and update the certifications.